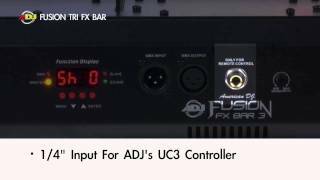 Considering purchasing the American DJ Fusion Tri FX Bar 2 in 1 Effect System? Have questions? Ask people who've recently bought one. Do you own the American DJ Fusion Tri FX Bar 2 in 1 Effect System? Why not write a review based on your experience with it. Great bit of kit for mobile dj as so multifunctional, they have so many features in one light! brilliant! 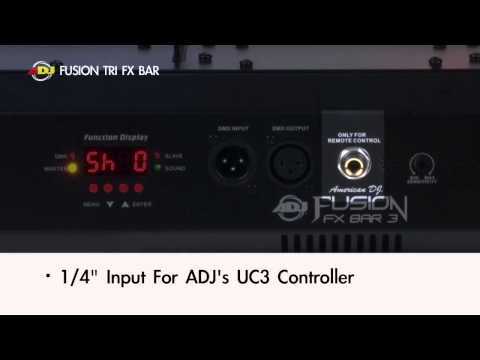 Seen a video for American DJ Fusion Tri FX Bar 2 in 1 Effect System online or have you own video? Check out American DJ Fusion Tri FX Bar 2 in 1 Effect System on DJkit.com!